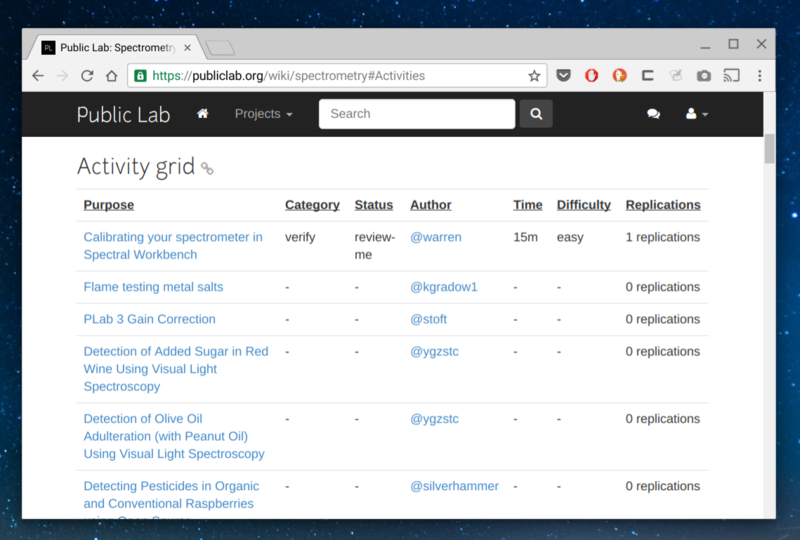 Our new activities system is an easy way to find step-by-step activities built on Public Lab tools and techniques. It's also a great place to contribute your own how-to guides, so that others can try them out -- and even attempt to replicate your steps to get the same end result. There are hundreds of activities on the site, but there are even more posts that don't quite walk through each step of how to do something. Activities are perfect for this, whether you are showing how you did something yourself, or helping reformat others' work to make it easier for people to do themselves. a purpose! Why are you doing this? You can start working on an activity from any activity grid (see below) but the above button will start one off as a "draft" and we'll help you get it ready to go! Have questions about posting an activity? Ask away! We're here to help. Edit the page and add [activities:coqui] in the body text. This will cause an activity grid to appear. In the tag area of that note, add the powertag activity:coqui. (PS, a tag is called a powertag when there's a : in the middle of two terms that triggers something extra cool). Return to Coqui's home wiki, and refresh to see the note listed in the activity grid! To fill in the other fields in the activity grid, go back to the note. Since your note is already tagged activity:foo, a tagging interface will show up to help you add other powertags (see below screenshot). 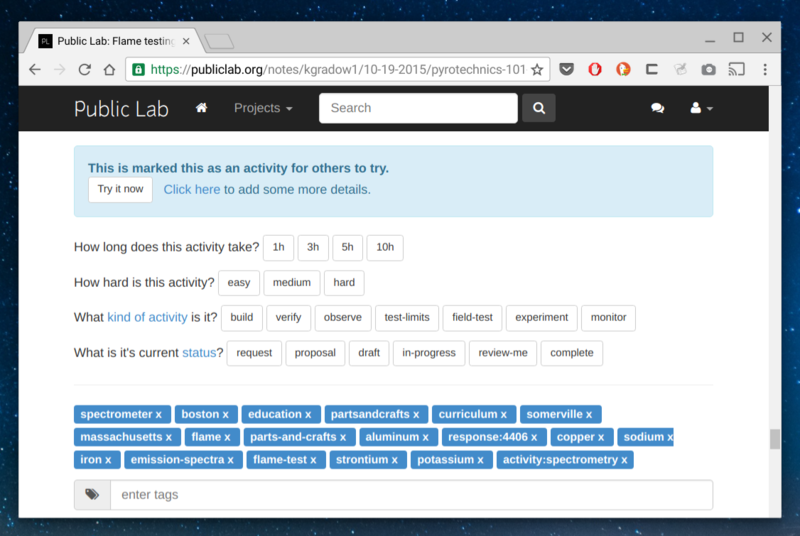 For even more information, review the suggested Activity Categories, and read to the end of the "Check out these Activity Grids" post. Repeat for other notes with Coqui activities. Go to a note, activity or wiki page where you'd like to embed your Questions grid. Edit the page and add [questions:TAGNAME] in the body text -- but replace TAGNAME with the topic of choice -- same as the Activities grid. You can see an example of a questions grid above.